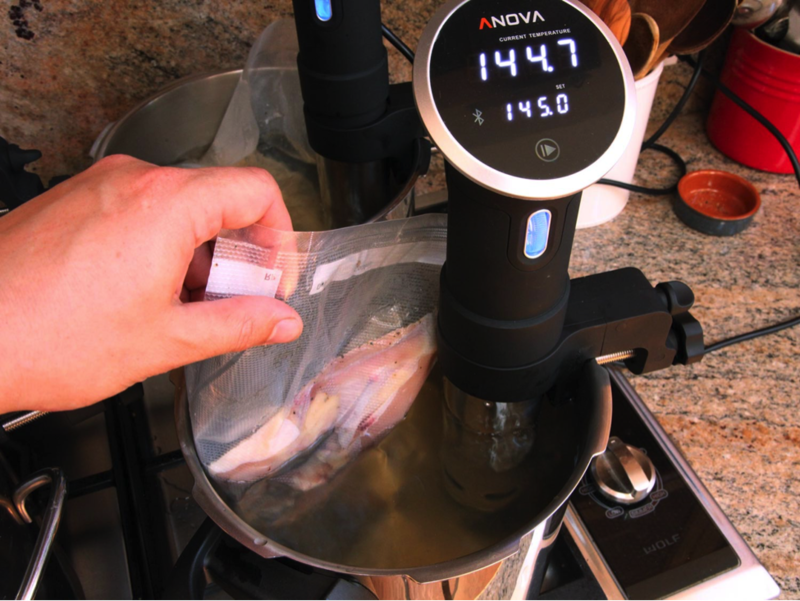 In this article, we will describe the five ways to use your sous vide at home. Sous vide cooking is similar to immersion cooking that is normally done in restaurant kitchens where the food is vacuum-sealed, immersed in water and then heated to a certain temperature using a circulator tool. This cooking technique is ideal for hot steamy summer times. The technique produces consistent and restaurant-quality food. Sous vide cooking is a technique that has been used by high-class kitchen restaurants for many years to deliver great results. But with the introduction of cheap and user-friendly sous vide cooking appliance, the technique has made its way to homes. Sous vide is a French word that means “under vacuum” which involves vacuum-sealing food in a container, immersed in water, and then cooking it under pre-set temperaturein sous vide machine. The technique delivers results that are incomparable to any other cooking technique. Sous vide foods are more tender. Sous vide cooking uses pre-set temperature to deliver great results that you cannot get from any other method of cooking. This is because the other traditional methods of cooking have no temperature control mechanisms. This results in inconsistent results. In addition, chances of burning the food are high and it lacks the flavor required. Sous vide cooking is healthier: This cooking technique requires less oil, fat, and salt. This means you eat food rich in nutrients and gluten-free. Sous vide cooking can also be done almost anywhere: The best thing about sous vide cooking is that you do not require a fully-furnished kitchen for you to use an Anova Precision Cooker. All that is required is an electrical outlet, an empty small container, and water, plus the bags to seal the food. Less maintenance is required: You do not need to stand there to supervise the cooking. You just need to make all the preparations then pre-set the temperature and the timer will notify you when food is ready. To supervise a smoker in order to get good barbecue requires effort and time. You have to spend hours there paying attention so that food does not get burnt. Sous vide cooking will get you great results fast. What you need to do is to rub and smoke your meat either with wood or any other means, chill the meat and then vacuum-seal it on a bag that contains some vinegar. Next, pre-set the temperature of your immersion circulator tool to 176 degrees and then put the vacuum-sealed meat inside for some hours. You will get juicer, tender smoky meat. You can also use sous vide at home to make chicken tender and moist and then when immerse the chicken meat and heat it with your desired temperature, you eat soft meat with flavor. You can use your sous vide to not only cook vegetables but also keep them bright green and the white veggies strikingly while. It’s simple; you just need to immerse the vegetables in extra virgin olive oil, then add salt and fresh herbs, put them in a vacuum-sealed bag and then cook the mixture in a water container with a circulator tool. Use your desired pie filling to prepare your own custard desserts in jars. Here, you adjust the circulator tool to 176 degrees and thenplace the pie filling in the jars. Cover the jars and put them in the water bath, and then cook for about two hours. Take out the jars from the water bath and uncover them, then put them in a cold place for about three hours. Put the chops in saline water for two days, sous vide them to 138 degrees and then flame them in an iron pan that contains fennel seed, black pepper or coriander. There you have it: five ways to use your sous vide at home. As mentioned above, this is a cooking technique that was popularly used in high-end kitchen restaurant, but it’s now possible to do it at home.